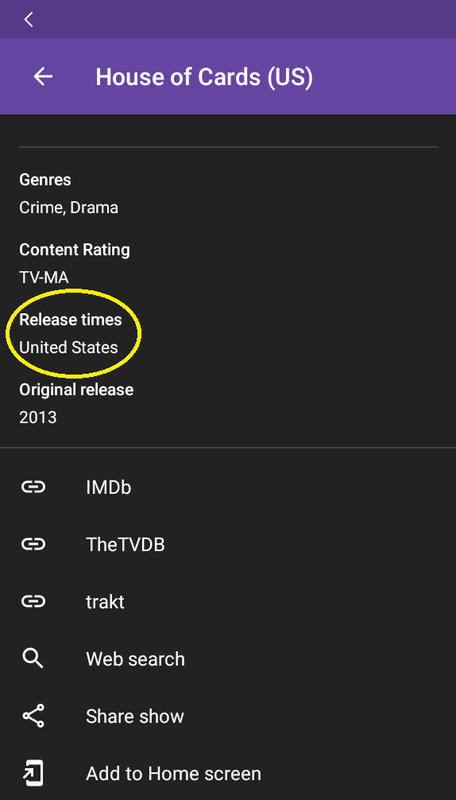 It means the release times of episodes are for this country. This is for shows that are rebroadcast around the world at different times. Ok. 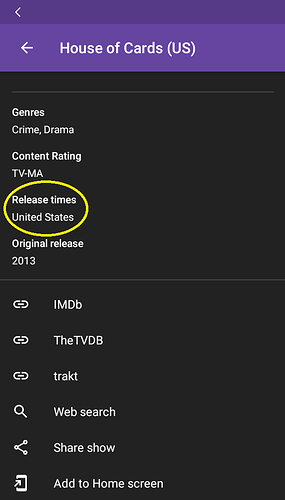 However in my opinion that string could be misleading, what about replaced it with “Release country”? 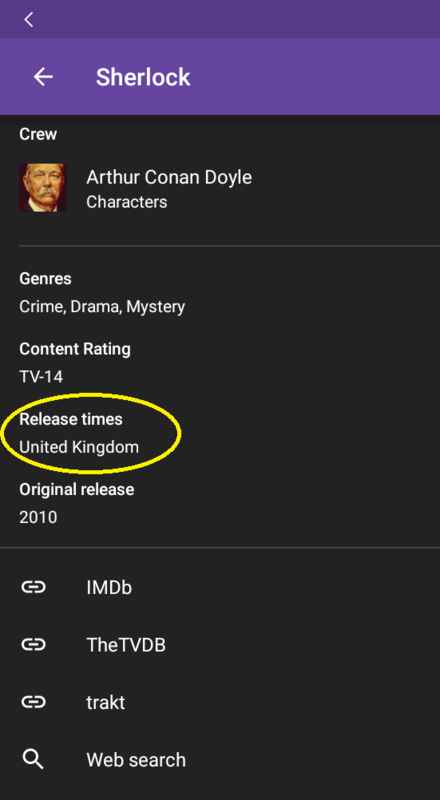 It would be implied that it’s also about the first release times.